Hello my lovely Loopies, did you enjoy today's weather? Yeah? Well, get the good of it, cause its all ending tomorrow AGAIN. That is if you live in Northern Ireland of course. Grrrrrrr. As much as I LOVE living in beautiful Northern Ireland, there are times.........ohhhhhhh...........there are times, I could wring the neck of the weather man......poor Darra from BBC One Newsline! Ok so I am totally aware its not his fault, and there isn't exactly a Complaints Department for these sorta' things. But I'm getting completely frustrated with Summers that are grey and soggy wet and its soooooo grey and even puddles are starting to look lake-like! My cat is starting to sport a bloomin' sopping wet, dirty aul dish cloth look most days now!!! It is not a good look for her and her wee grumpy face is getting a bit hard to look at .........Nimbus is the only cat I know that has actual expressions that are so obvious. And I'm fed up looking pasty white and freckle-less! I look cute with my wee freckles all over my nose and face with my little blonde Pippy Longstockings plaits! Hello!!!!! Pippy Longstocking Plaits and cute freckles people!!!! The world is missing out on that look all because there is no bloomin' sun and heat in Northern Ireland.......are you getting my frustration here people?? I could complain and complain (and complain) about the weather here and it won't change a thing. So enough of my ranting. Oh by the way..........hubby says we are all nuts (all in good humour and jest of course!) Yep, I told him about my last post and the replies I had gotten and he laughed his head off and just so happened he needed to run out to the bin to put some bags in the bin.......just at the very second that I was bombarding him with the comments I had received. I told him he really should know by now that if you dare me to do something, not to do something or challenge me to anything.........its a pretty sure thing that I am going to do "it". Heehee. Silly man! Anywhoodles, enough of my loopiness. Here's my creation for today's post. I saw the wonderful Sarah's bracelet on her blog, please click here for Sarah's blog, http://blueboxbabe.blogspot.co.uk/. 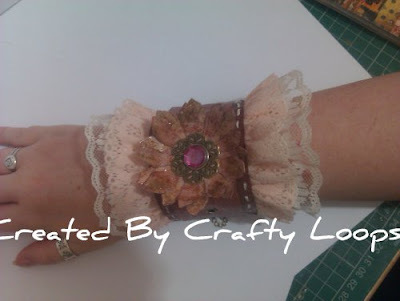 It was a gorgeous bracelet and it inspired me to make my own with a little vintagy grungy girlie look. Thanks for being such an inspiration Sarah, I always love visiting your blog. On the larger piece of grunge I used Victorian Velvet Distress Ink. On the top piece I used Spun Sugar and Vintage Rose Glimmer mist. I added Mod Podge over the grunge paper to make it waterproof. Heres ma wee arm doing a little modelling for you whilst my other hand is awkwardly trying to take photos! I added 2 different gathered laces. The cuff didn't look just right with one or the other lace, so I sewed them together and its looked really pretty. 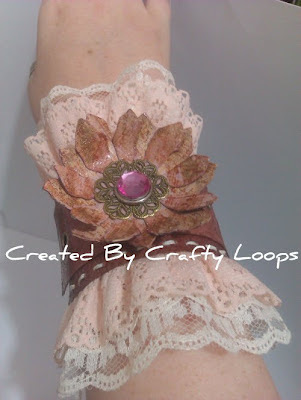 I hand sewed the lace onto the cuff with thick thread. I made this closure for the cuff so it can be worn for any size of wrist. Well, any size accept mine! I did make the cuff a wee bit too big for my wee wrist but I can tighten it so all is not lost, lol. 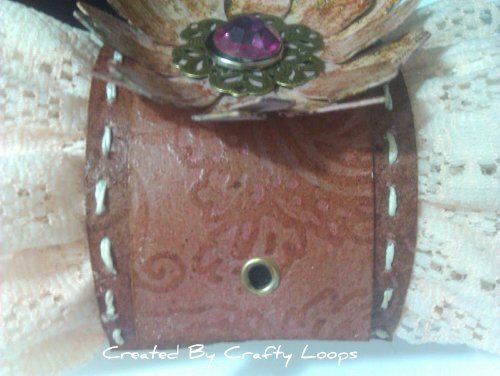 I added some felt to the inside of the cuff so it would hide all the sewing and brad backs and be comfortable to wear. It needs to be tighter around my wrist....just imagine the grunge paper section being tighter, but I love, love, love it. Its so pretty and vintage looking. Thats it from me for another wee while folks. Oh by the way, I will be uploading a tutorial on Youtube on how this was made. So look out for that. If you ever want to go to my channel, just do a search on Youtube for..........you guessed it.....CraftyLoops! AMENDMENT.....IF YOU DON'T WANNA SEARCH YOUTUBE BUT WANNA SEE THE TIMELAPSE TUTORIAL ON HOW I MADE THIS CUFF, PLEASE SEE THE VIDEO BELOW.......I WATCHED IT AGAIN JUST FOR THE MUSIC, LOL. OOH! Lee, this is so beautiful. A gorgeous design, love the pretty details. WOW! This soooo beautiful Lee. 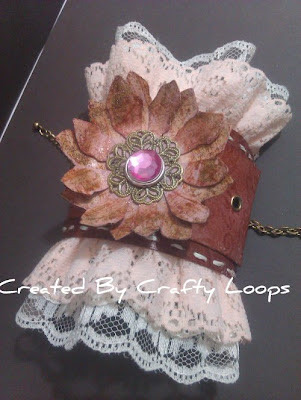 I love the design with that fabulous flower and all the yummy lace. Hope the weahter stays fine for a bit longer - you never know they may have got the forecast wrong, it has been known! Very Creative. Lovely color. Thanks for joining Speedy Fox and Friends. It's really quite lovely! 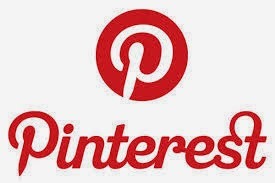 So glad you shared with us at Great Impressions Stamps! Lovely bracelet. 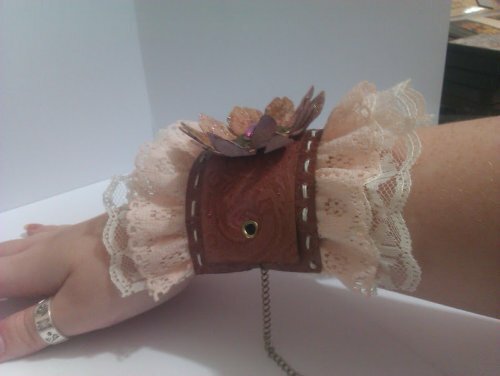 I've never seen a cuff bracelet like this before. Wonderful. Thanks so much for joining us at Crafty Catz this week. Oh my!! This is a gorgeous project, Lee. Wow lee it has been such a long time. I miss you!!!! Your creations on here are just amazing!!!!! Wow such beauty!!!!!! You sure have the talent for this!!!!! way to go my friend!!!!! Wowww Lee... fabulous cuff..... bet you looked fab wearing it! Oh wow Lee, I LOVE cuffs! Made a couple myself AND wear them, too ;-) Your creation is perfectly romantic with all that fine lace and stunning colours, amazingly beautiful work!! Your cuff is very glam dahlink! Love it and to think its made of paper! looks like leather to me good old Tim! This is a very pretty project! The colors are gorgeous! Thanks for playing along with us this week at Speedy Fox and Friends blog challenge! What a beautiful bracelet. Absolutely Stunning. Thanks for playing along with us here at Speedy Fox and Friends challenge, we hope to see you again next week. Make sure to check out our challenge with Friends of SpeedyTV or Tutorial Time on SpeedyTV for more fun and more chances to win with Mark's Finest Papers, a Heinrich Co.
Wow gorgeous bracelet,thanks for joining us at Cupcake this week and good luck. Super bracelet. 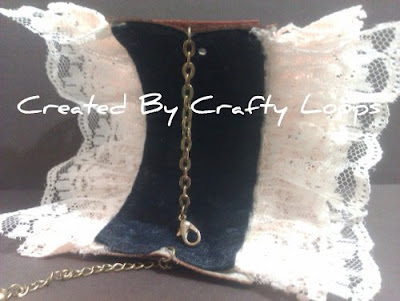 Thank you for sharing it with us at Crafty Ann's. Thanks for playing along this week on the Use Your Stuff challenge. Hope to see you again. Wow this is amazing such a beautiful creation. Love your choices of materials and how you have created this perfect piece of jewellery. 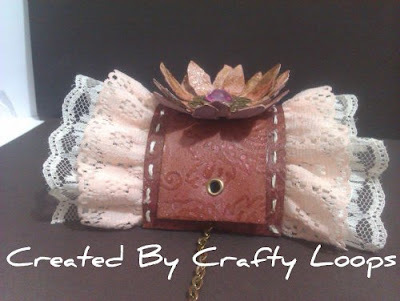 Thank you for sharing is stunner with us at Crafty Cardmakers and good luck. Oh wow!! This is absolutly gorgeous! 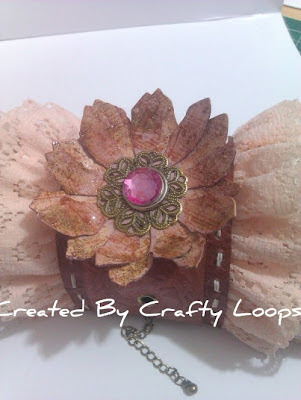 The lace is so beautiful and I love the flower centre sooo pretty :) Thanks so much for joining us at Crafty Cardmakers for our "No Cards, Tags or ATCs" Challenge. Now aren't you the creative chick! This is so cool! Thanks for sharing with us at Great Impressions Stamps! Wow! This is beautiful, you're far too clever! Hi Lee, Firstly your flower does not now look yukky, it looks grungy, which is the desired effect surely, it looks distressed. Secondly, I love it, you clever clogs you, It's really pretty and so grunge chic.